The Keisei Skyliner is the fastest train between Tokyo and Narita Airport making it a great option for weary international travelers looking for quick, convenient access into downtown Tokyo. Likewise, your return to NRT for departure home is just as easy. The Skyliner is a privately owned, direct express train service operated by Keisei Electric Railway. Your JR Pass is not valid on the Keisei Skyliner, however the one-way fare (2400Yen, 2014 price) is very reasonable considering the comfort and convenience provided by this often less crowded train between Narita Airport and Tokyo (relative to the equally great NEX). Reservations are required for the Keisei Skyliner, however with three (3) departures per hour from around 6AM until 22:30 (10:30PM), it`s virtually worry-free to find a Skyliner seat. 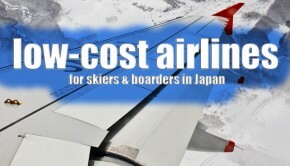 The Keisei Skyliner journey takes a leisurely 41 minutes and provides adequate storage for skis & snowboards, as well as mid/large-size wheeled luggage. 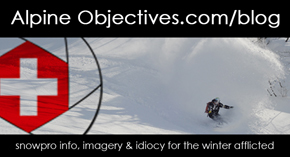 When traveling during busy holiday periods space will be at a premium, but if you know your seat number and can quickly enter the train you`ll be able to find enough space for your ski/board bag overhead or in the front of the train car. 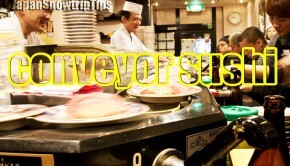 Be aware that your arrival point is Keisei-Ueno Station (a short 5 min. walk from JR Ueno Station), not main Tokyo Station. JR Ueno Station is an equally convenient arrival station into downtown Tokyo. Major shinkansen lines heading into the snowy regions of Yuzawa & Minamiuonuma in Niigata prefecture and north toward Tohoku (e.g. Iwate and Akita) go through Ueno, as do other key Tokyo city trains/metro lines. If your ultimate destination requires transferring through main Tokyo Station (e.g. 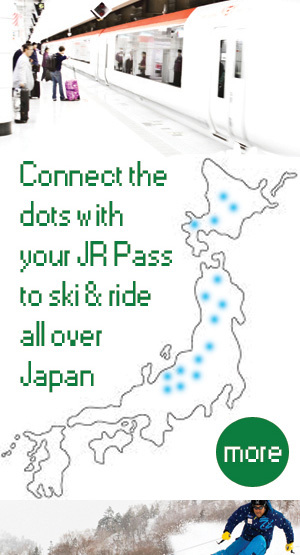 to access ski areas in Nagano via the Asama Shinkansen line), it is very easy to reach Tokyo Station from Ueno Station within a few minutes via JR Yamanote Line (the important JR track circumnavigating Tokyo connecting main train hubs which is extremely useful for every JR Pass holder while in the city). 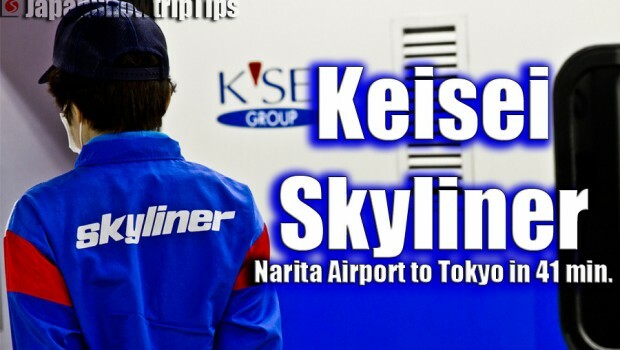 The Kesiei Skyliner operates direct service between Narita International Airport (NRT) and Keisei-Ueno Station. Tickets can be purchased at Narita Airport Terminal 1 & 2, Nippori Station, Ueno Station and the Keisei-Ueno Station Info center. The automated ticket machines are simple to operate (English language options) and accept major credit cards. There is usually a friendly English-speaking attendant willing to help if needed. *Click here for official Keisei Skyliner info, fares & timetables. Keisei Skyliner seat numbering starts near the front of the car, meaning if you are in seat #24 it would be clever to enter near the rear door of your designated car so that you can quickly secure luggage space for your skis/snowboards. Regarding overall storage space on the Keisei Skyliner, there is a nice sized cargo-rack in the front of each car, overhead storage lining each side of the car above the windows (wide enough for snowboard bags) and space behind the last row of seats that can accommodate an upright skis/board bag or large backpack(s). When heading back to Narita International Airport for your departure flight via the Keisei Skyliner, pay attention to which terminal you`ll be flying from. Announcements are in English so there`s no need to worry. Terminal 2 is the Skyliner`s first stop when traveling from Tokyo to the airport. Terminal 2 is the international arrival/departure point, so be sure not to accidentally get off at Terminal 1 or else you`ll be in the domestic terminal. The Ueno district is home to one of Tokyo’s prime nightlife (adult) entertainment hubs and harbors nice walkable zones during daylight hours through Ueno Park, museums, restaurants and shopping. Ueno is a perfect location for a short overnight stay to lessen the affects of jet-lag upon arrival before heading to the mountains. It`s also an equally convenient overnight stopping point on your way home so you can enjoy the mega-city for a night or two before departure as Ueno Station accesses all of Tokyo`s major hubs along the JR Yamanote line and has excellent metro connectivity. The Coco Grand Ueno Shinobazu is an excellent hotel in Tokyo located a short walk from both Keisei-Ueno Station and Ueno Station. The Coco Grand has nice sized, clean, sound-proof rooms overlooking Ueno Park, a relaxing spa area for hotel guests (separated by gender), adequate breakfast and all the late-night urban adventures of the Ueno entertainment district only a block away. A great travel deal only available to visitors from abroad which will save you money on transport into and around Tokyo combines the Keisei Skyliner (1-way or return) with full-day Tokyo Metro passes (1 or 2 day). 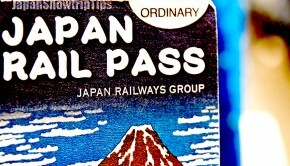 Learn more at the Tokyo Metro`s official Keisei Skyliner + Tokyo Metro Combo Pass page. 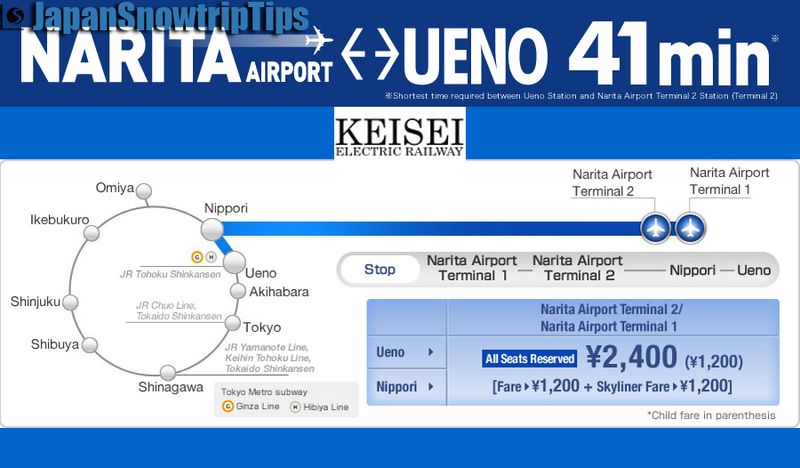 The Narita Express is your best option from Narita Airport (NRT) to Tokyo if you plan to utilize your JR Pass because reservations are free. 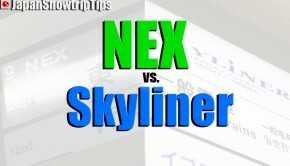 Not sure if the NEX or Skyliner is a better deal? Find out which is the best option for you — the Kesiei Skyliner or Narita Express.